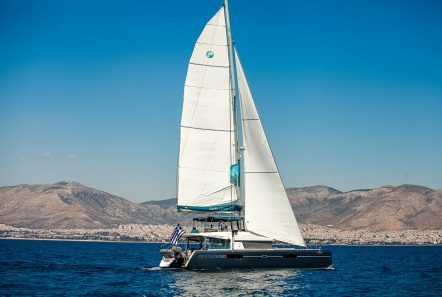 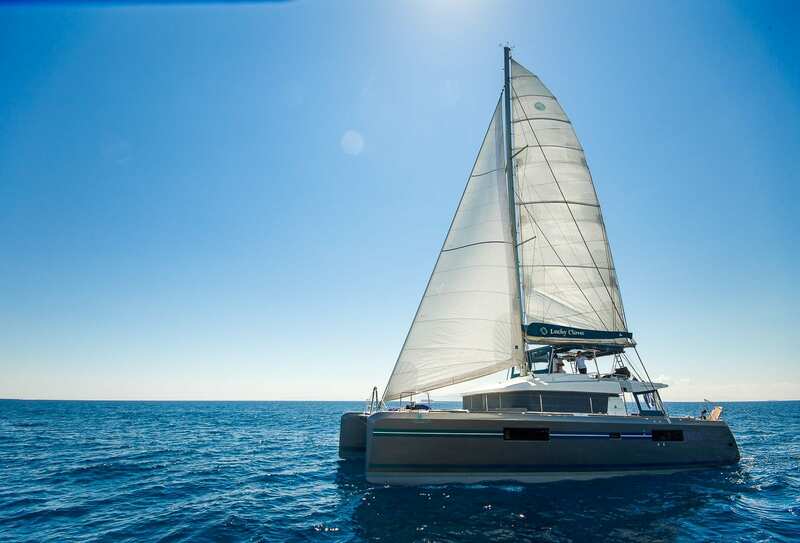 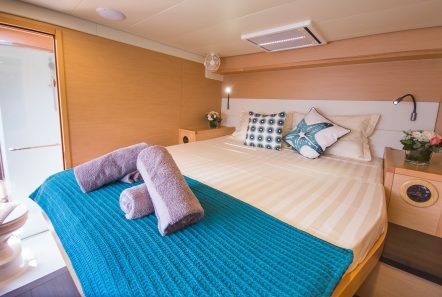 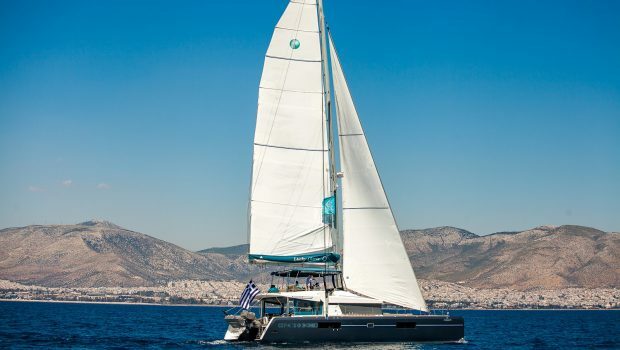 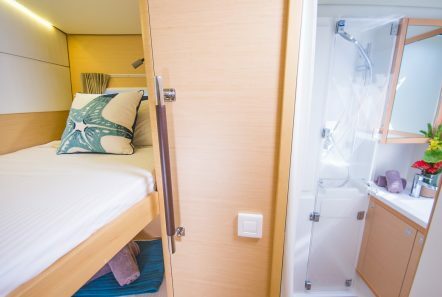 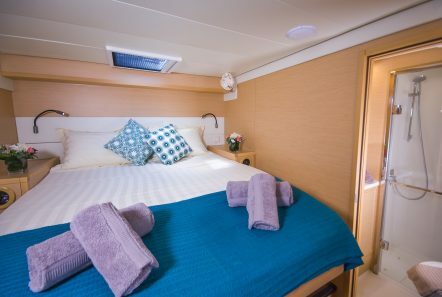 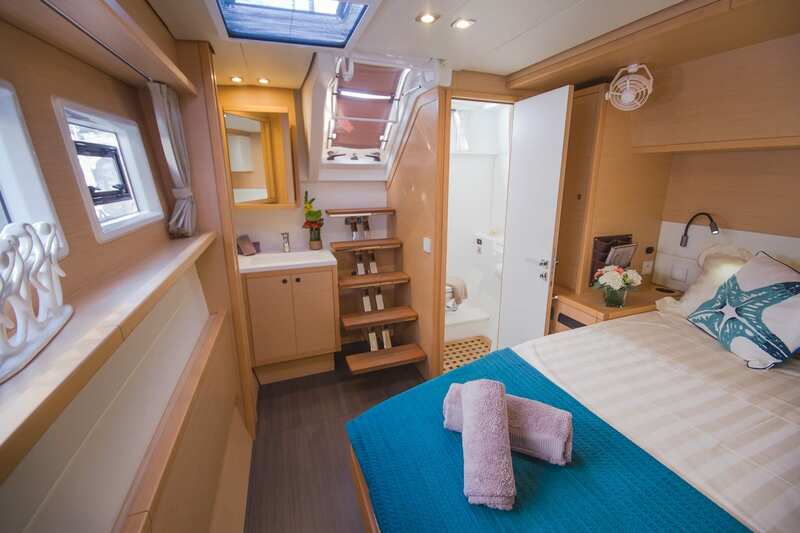 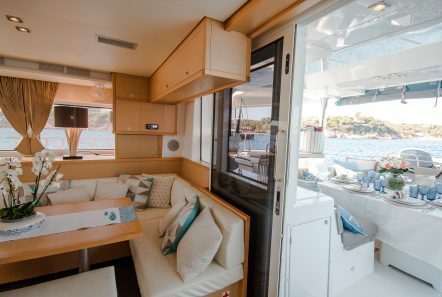 This Lagoon 52 takes 12 persons in 6 deluxe cabins. 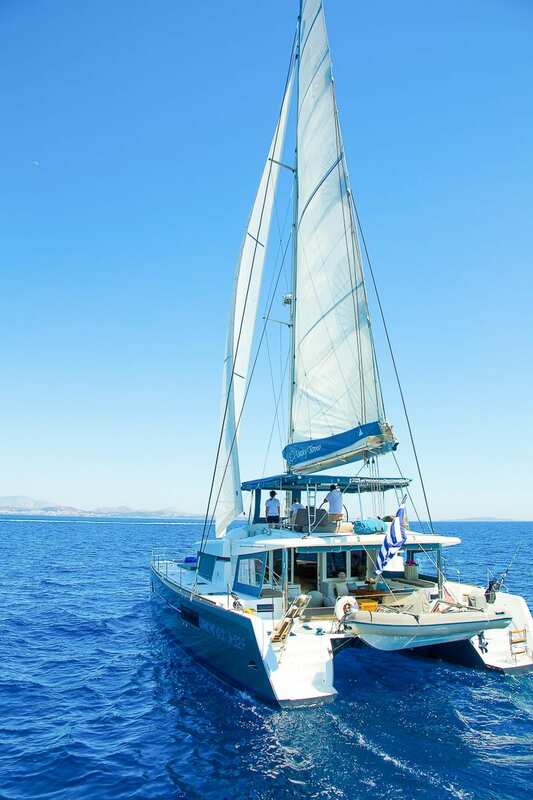 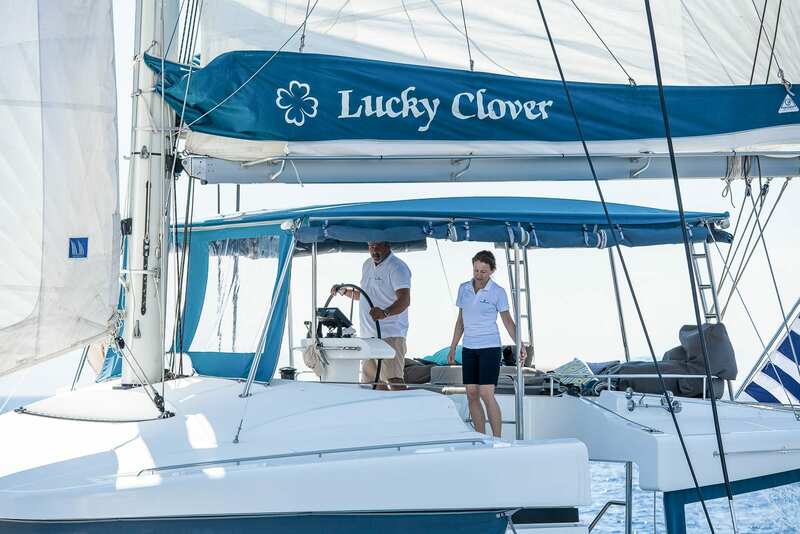 She is very affordable for her size and capacity and has extras such as ocean LED spotlights and many leisure toys. 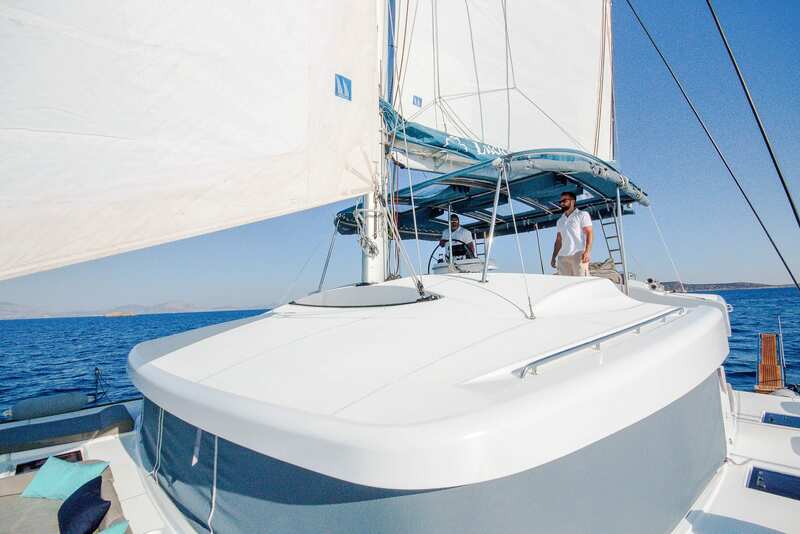 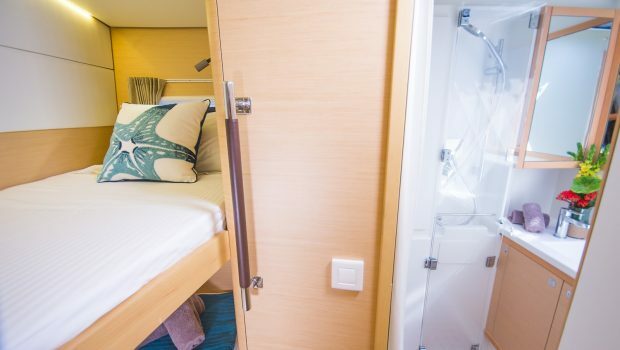 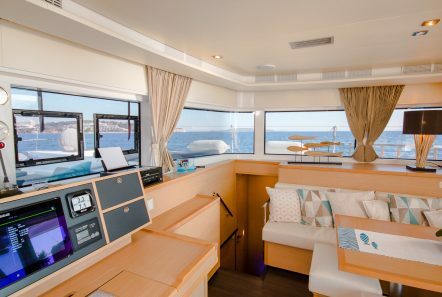 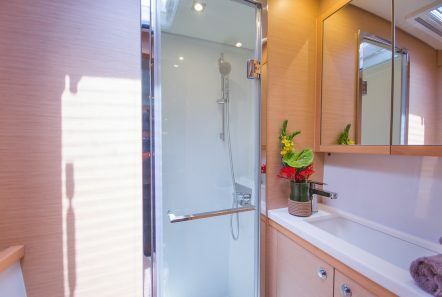 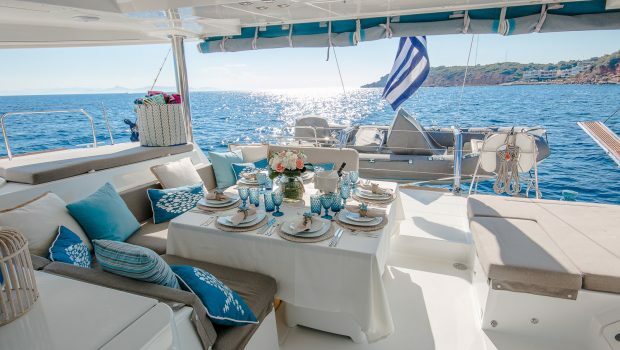 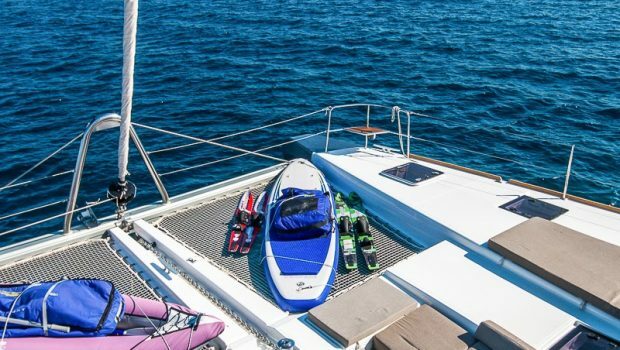 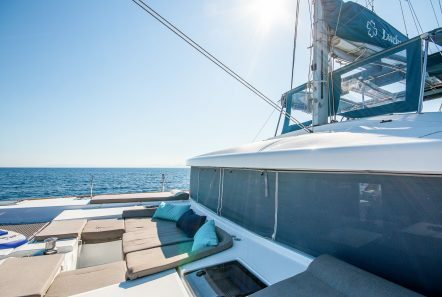 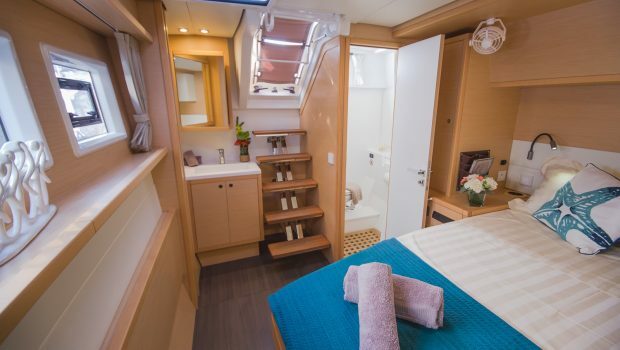 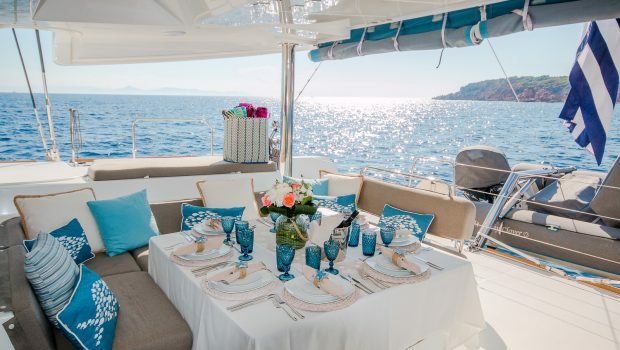 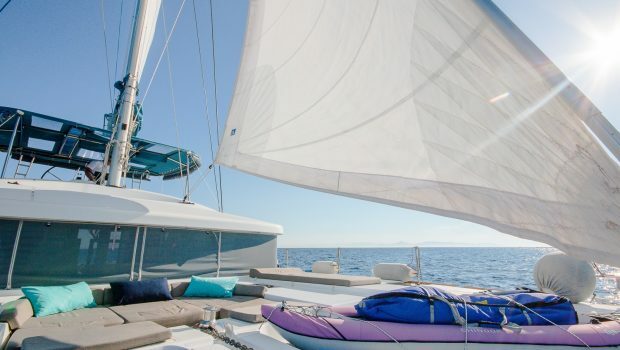 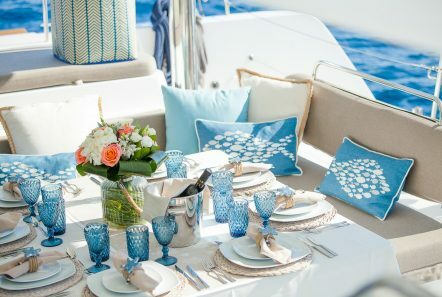 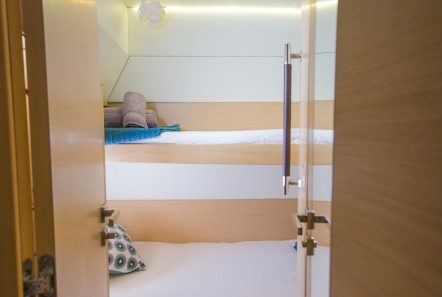 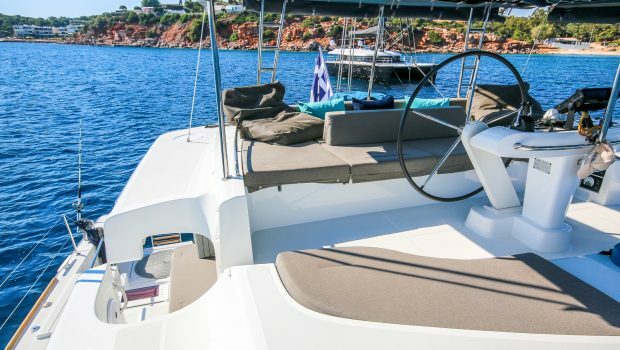 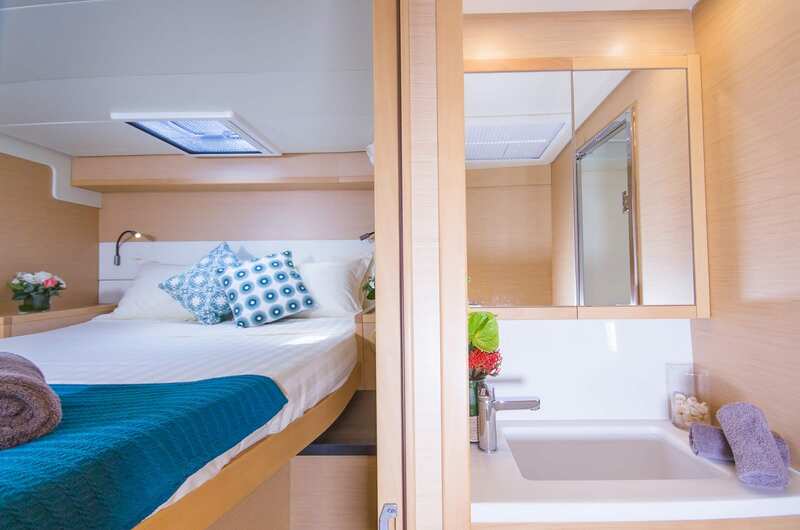 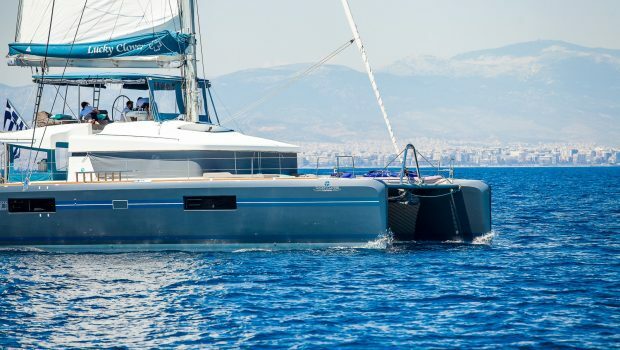 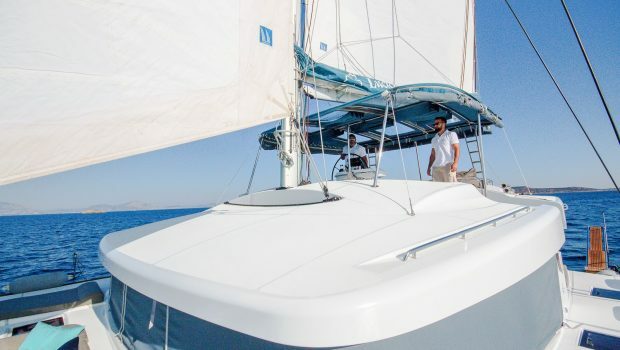 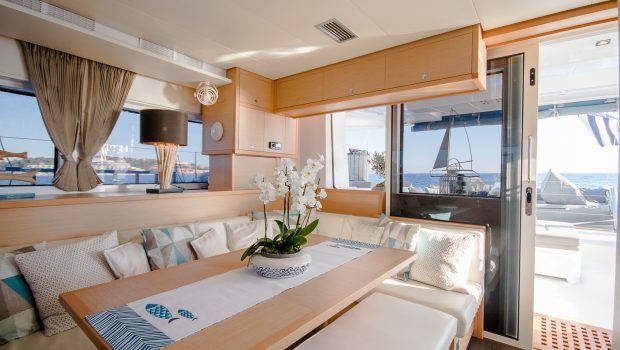 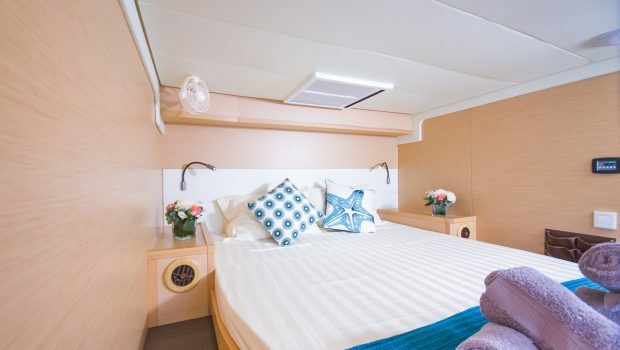 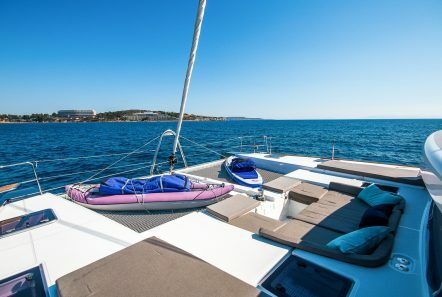 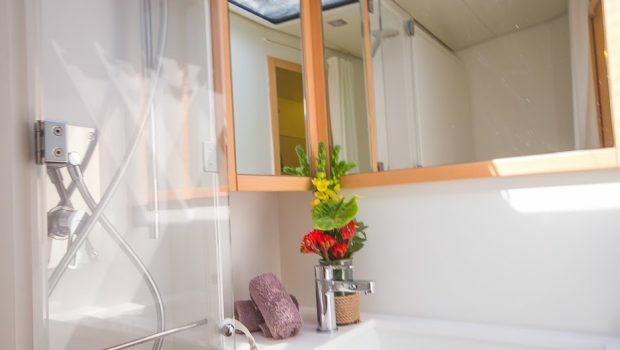 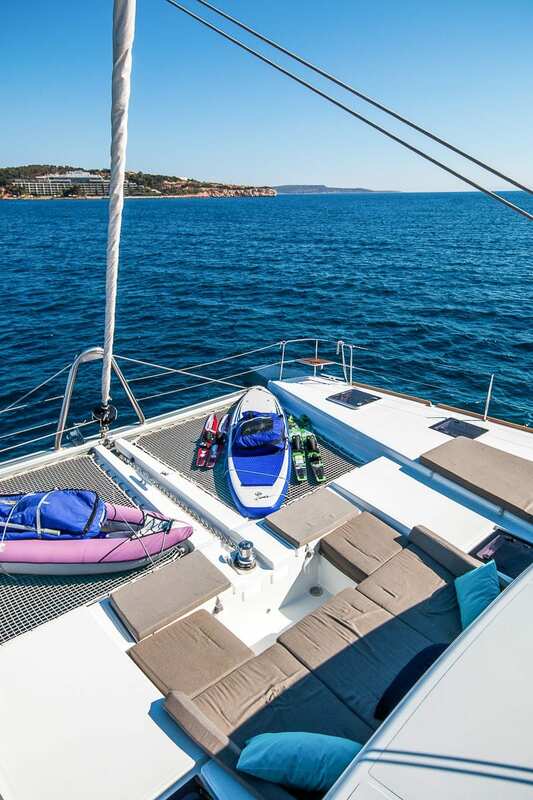 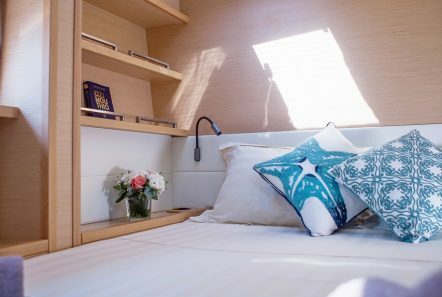 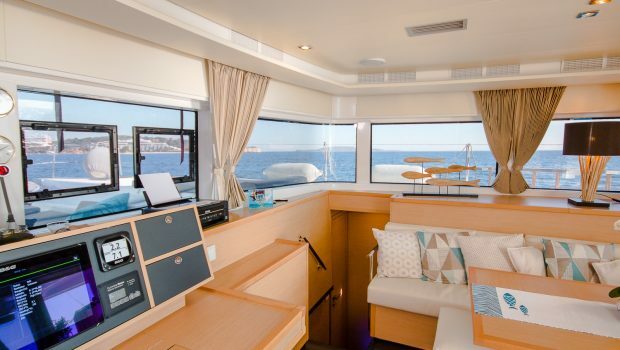 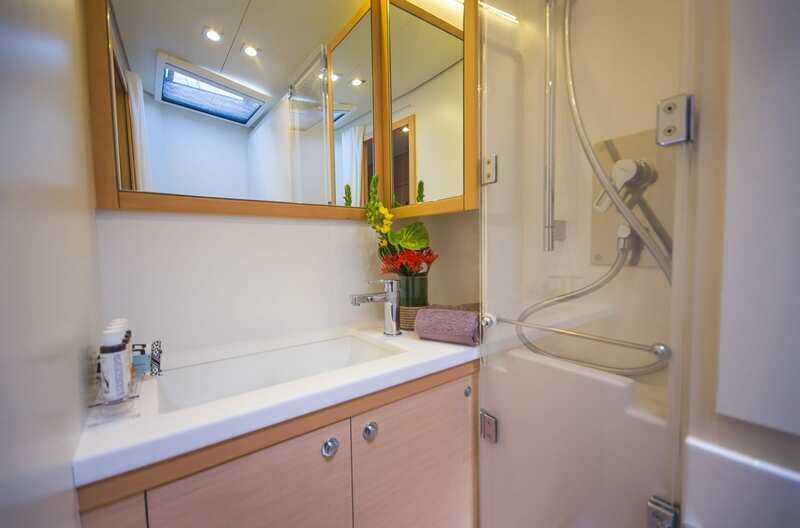 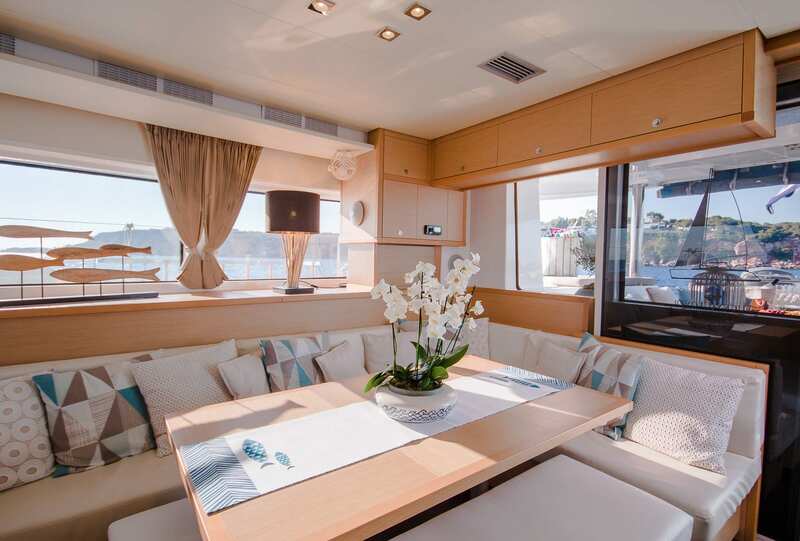 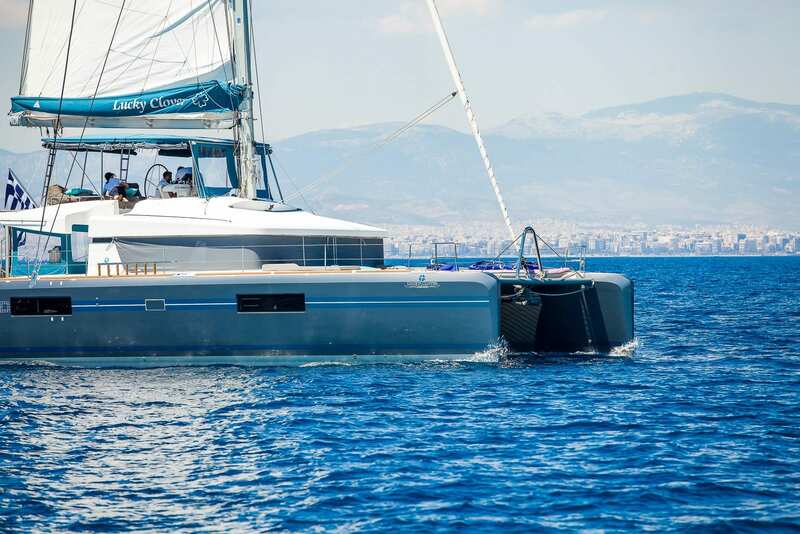 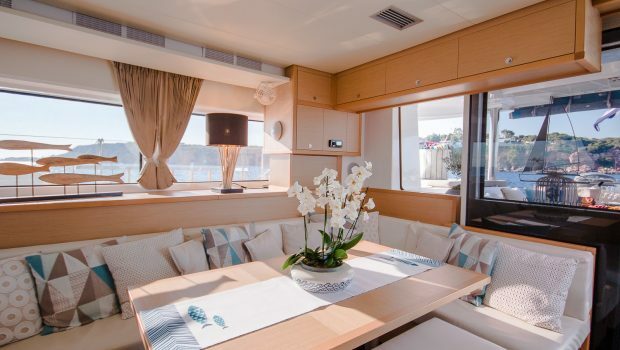 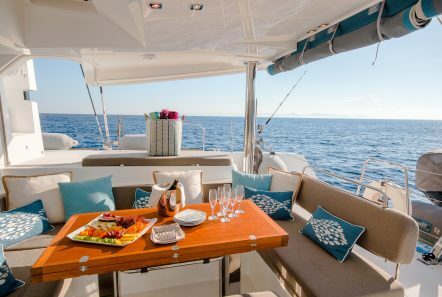 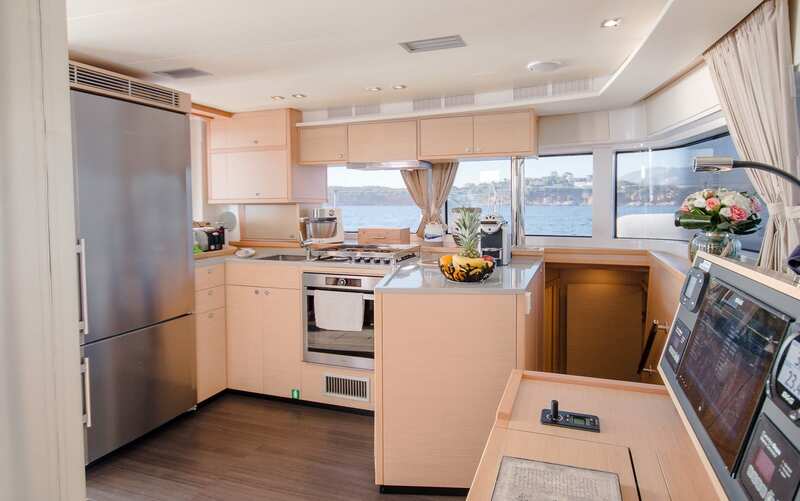 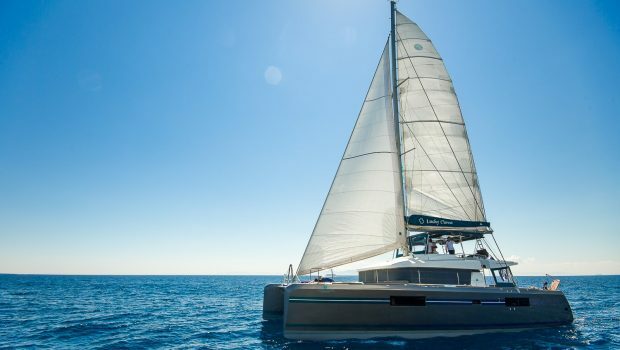 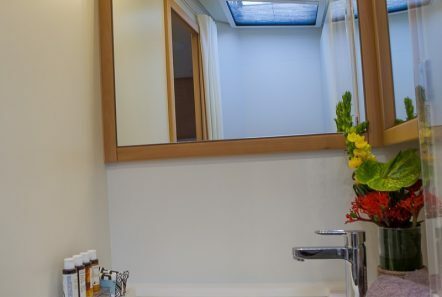 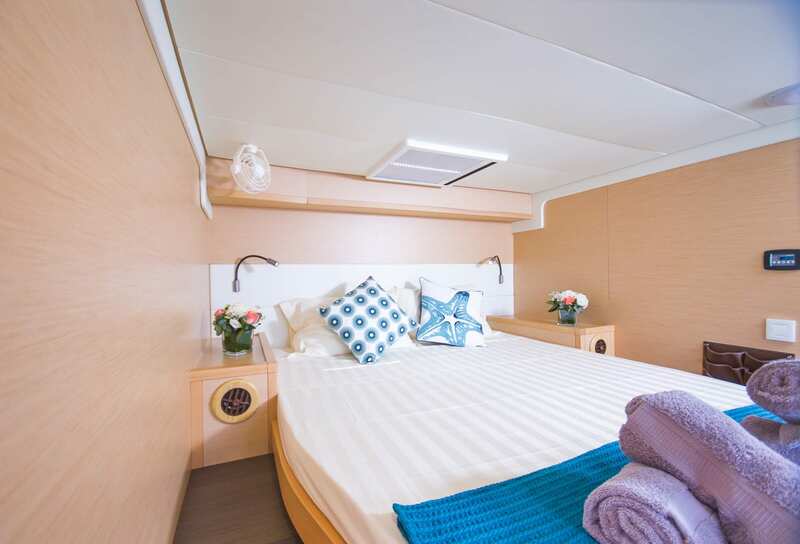 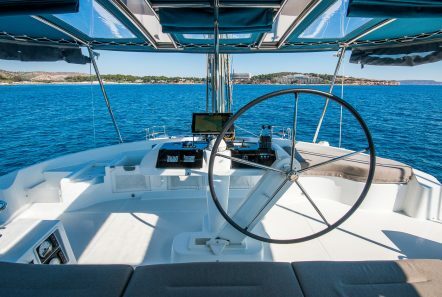 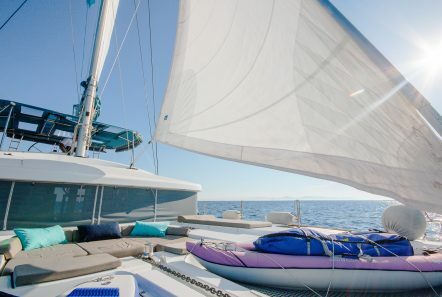 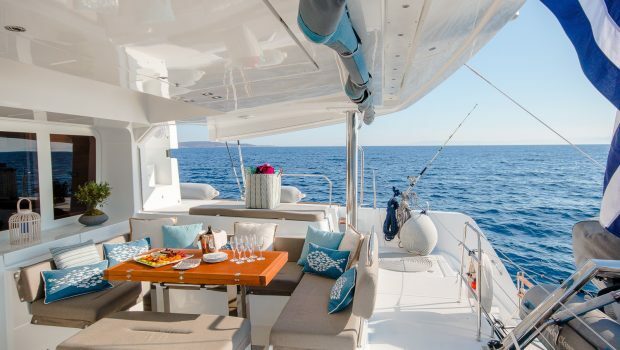 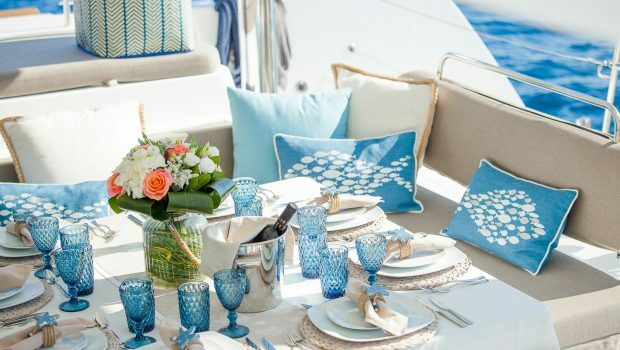 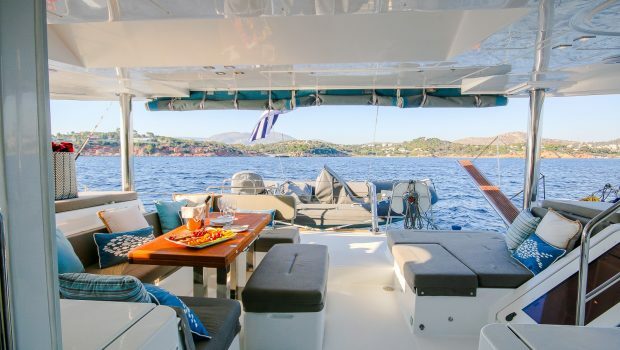 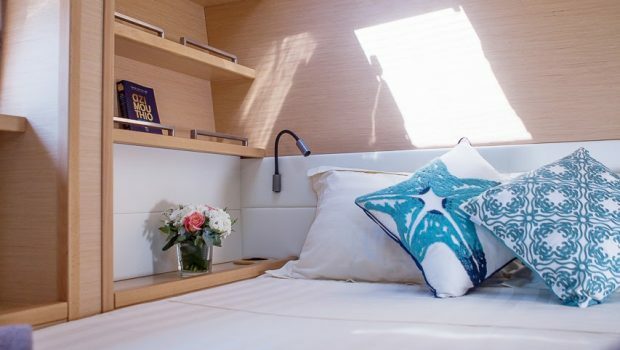 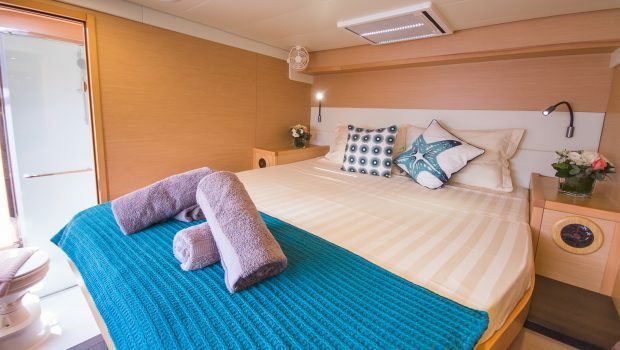 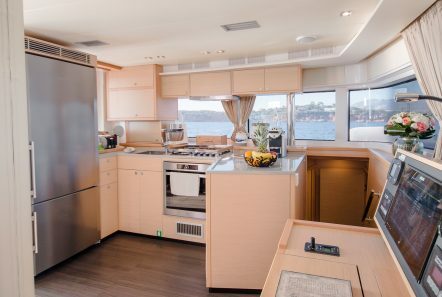 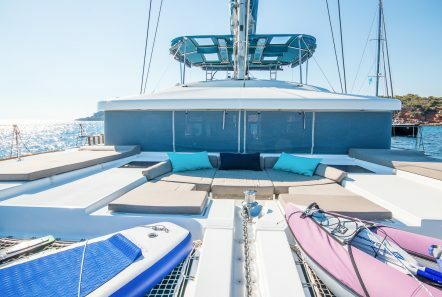 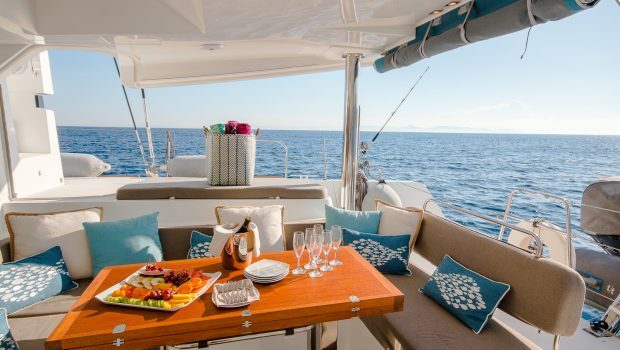 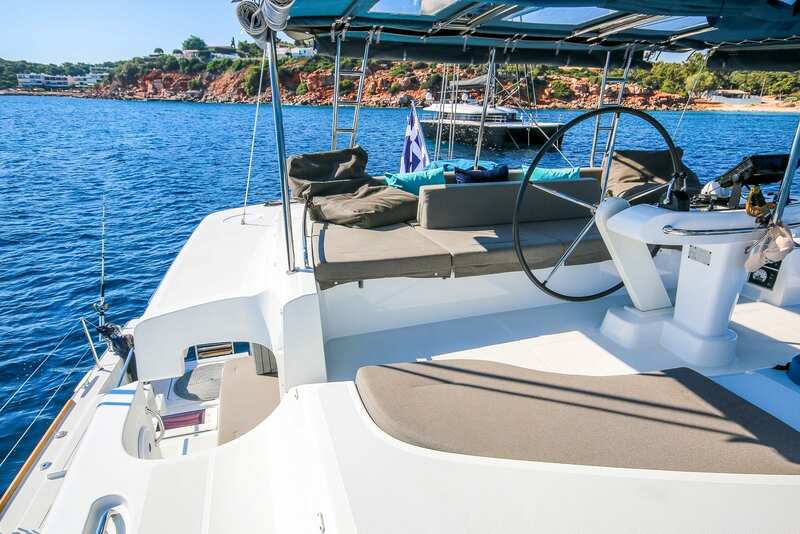 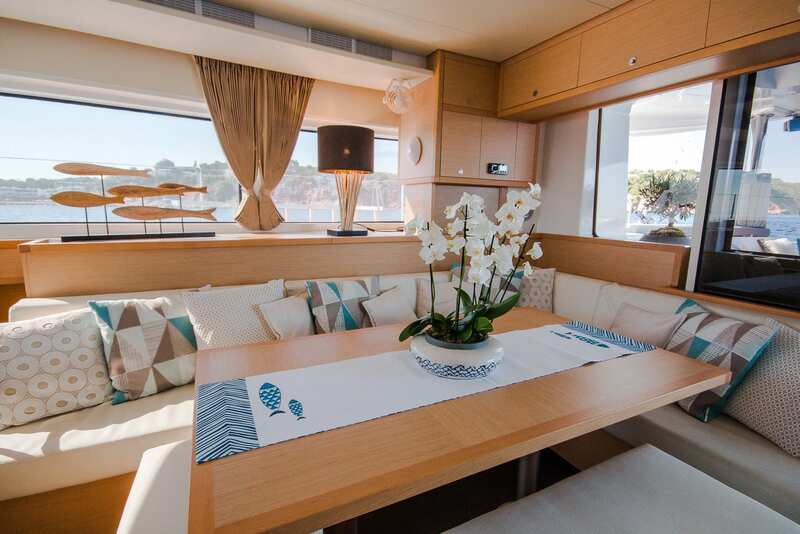 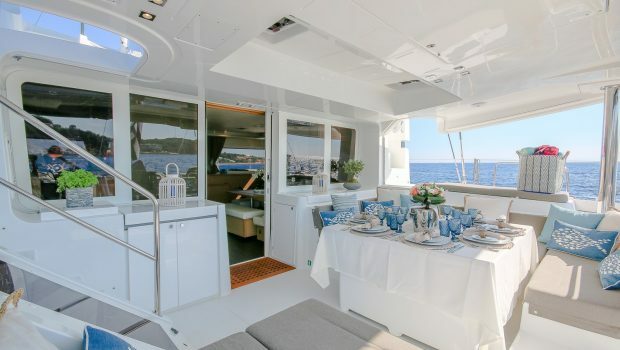 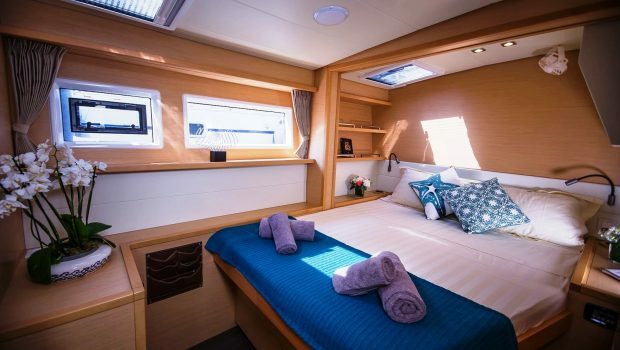 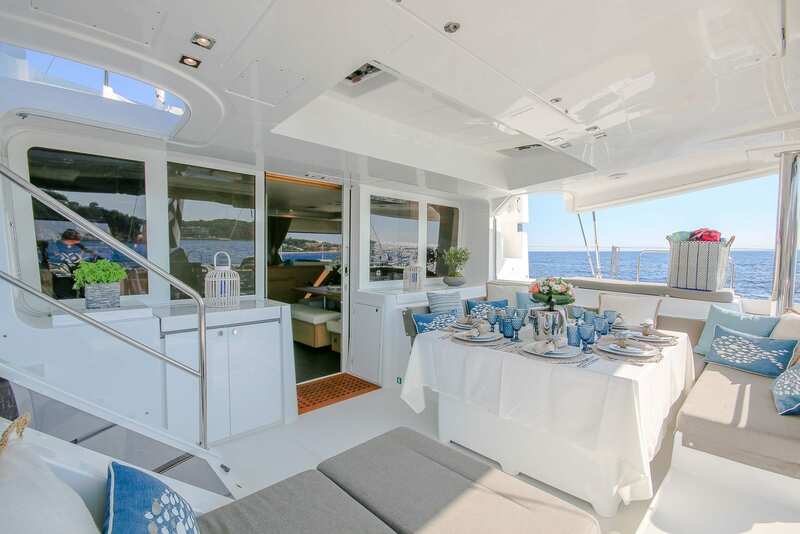 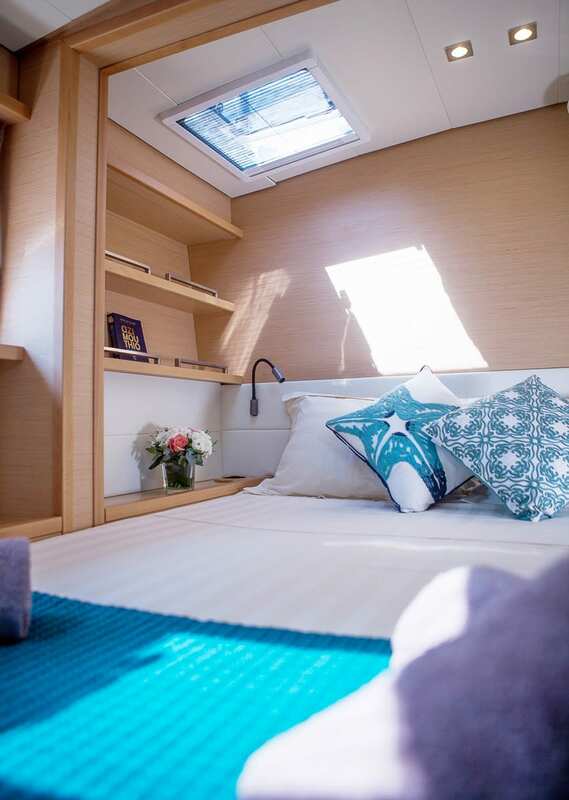 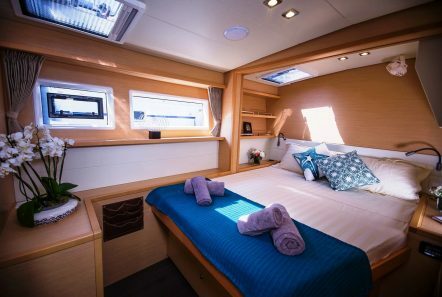 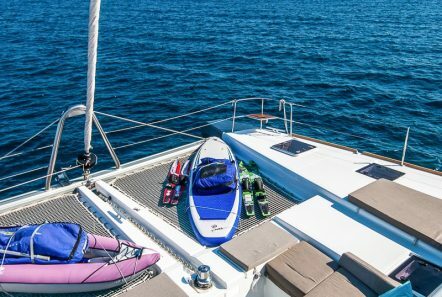 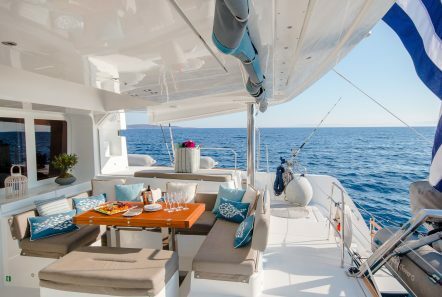 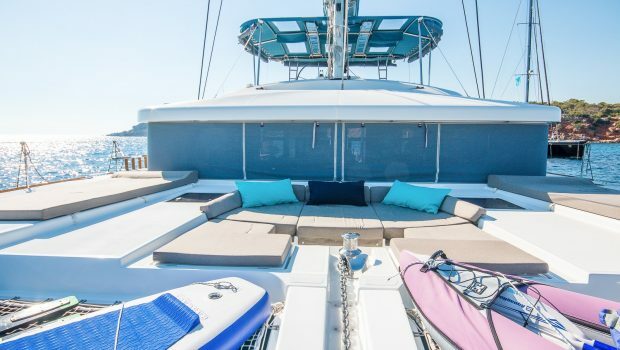 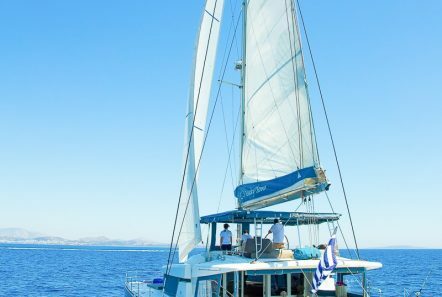 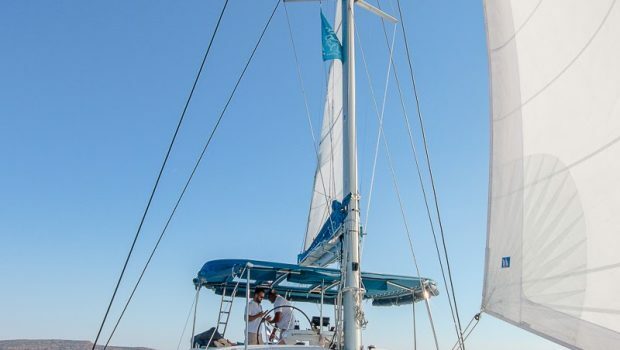 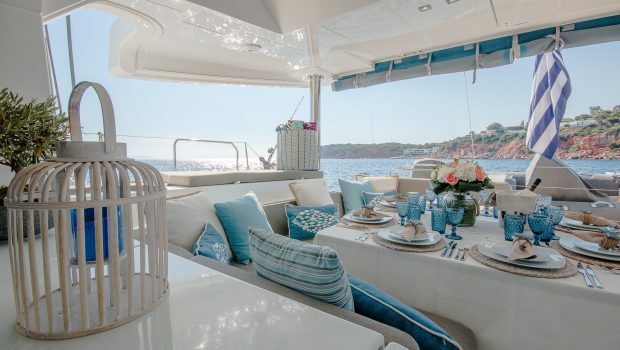 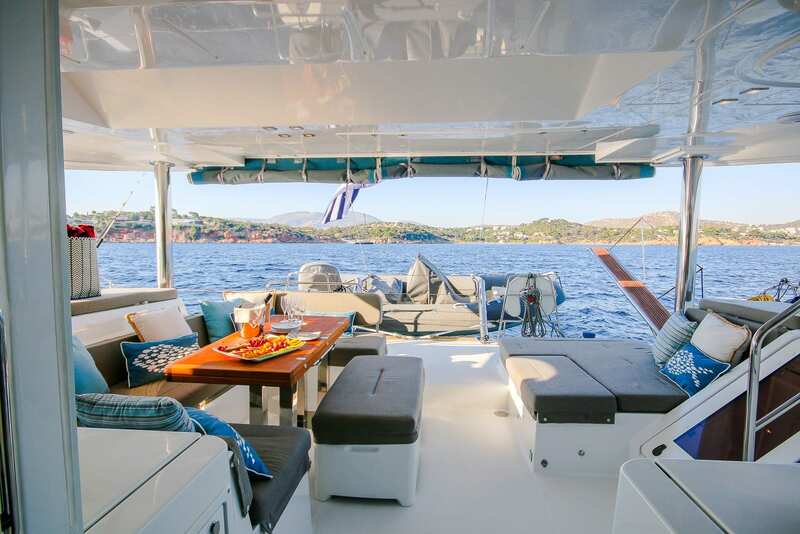 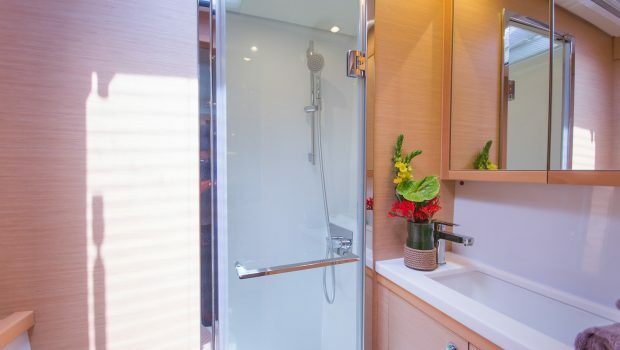 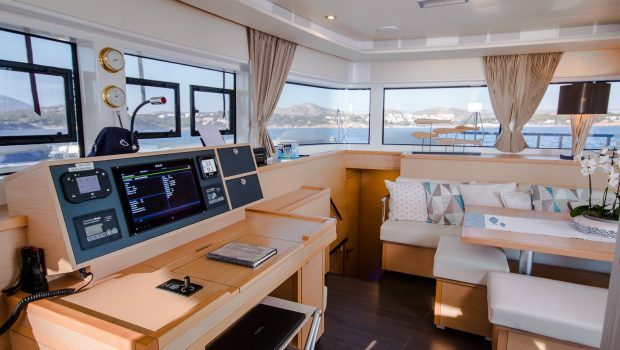 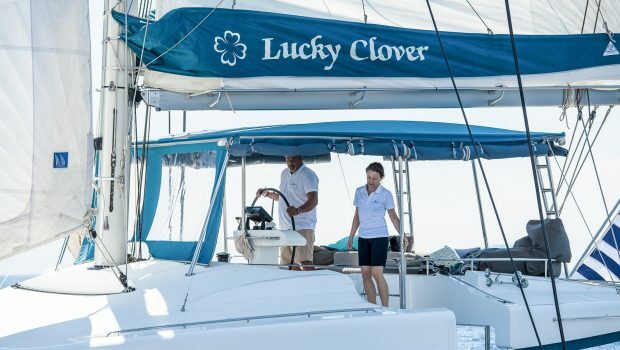 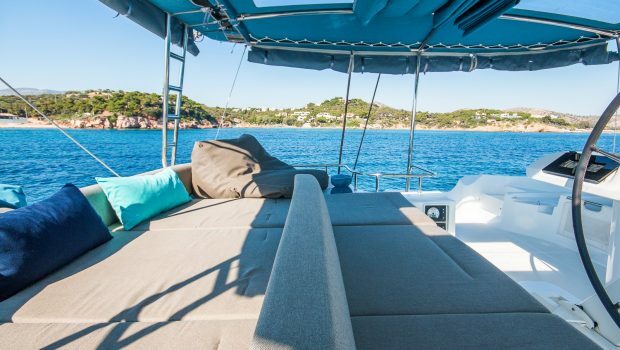 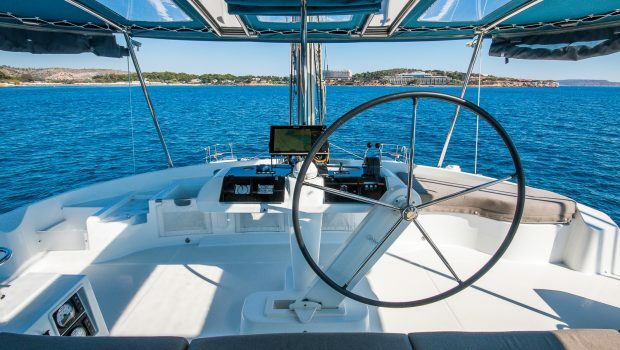 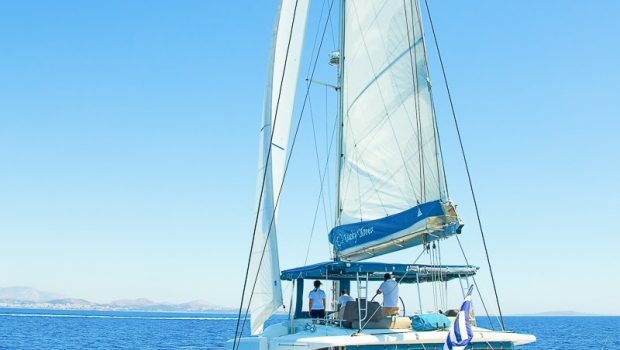 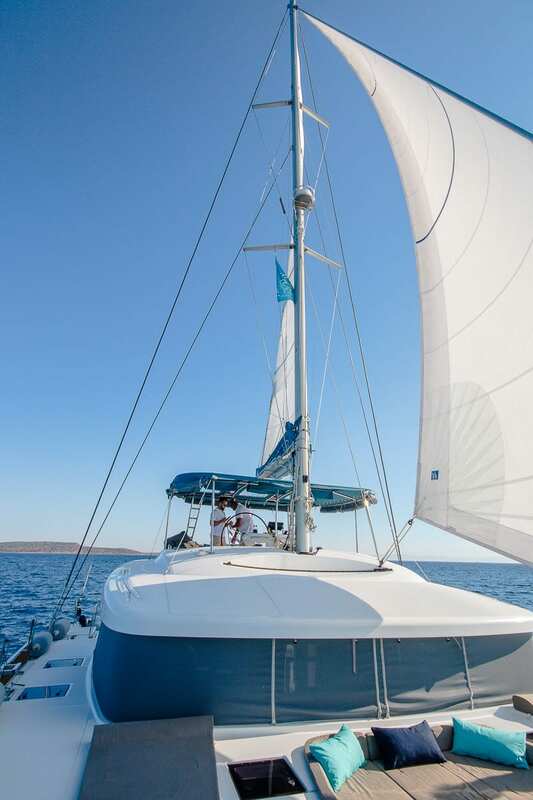 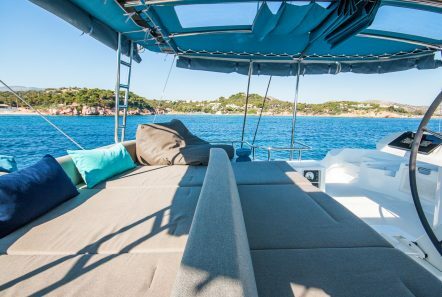 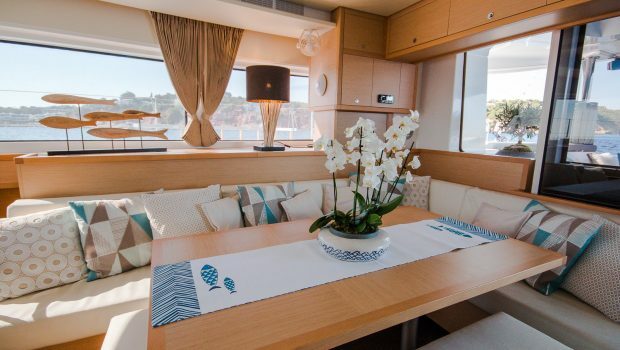 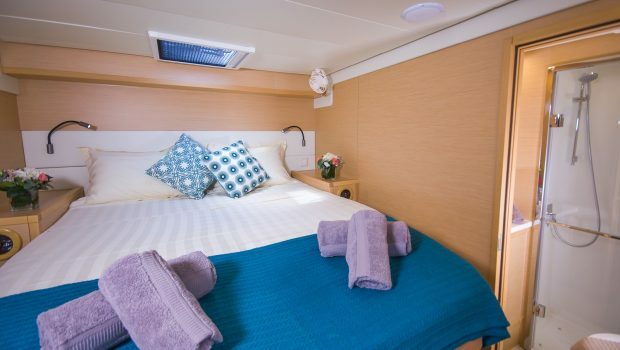 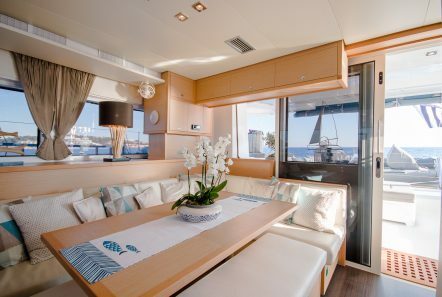 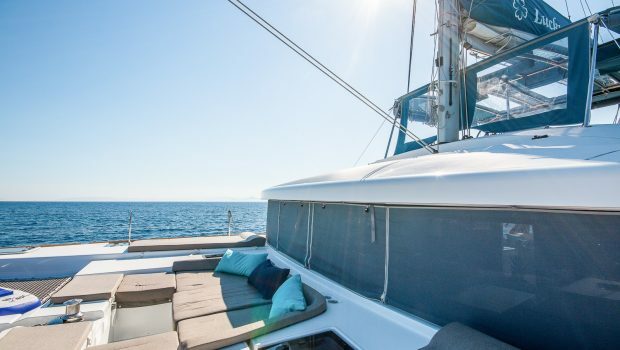 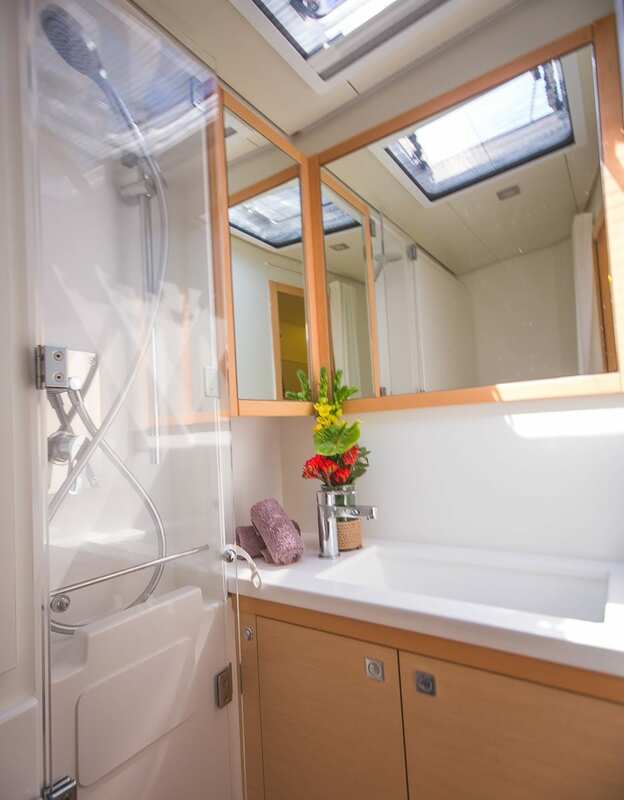 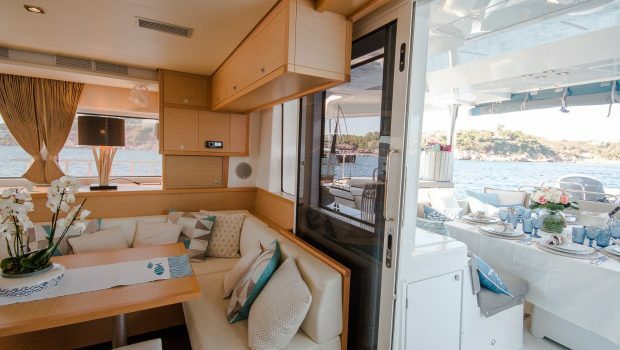 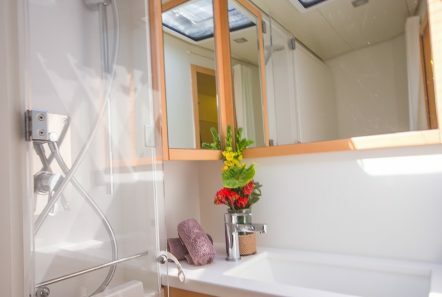 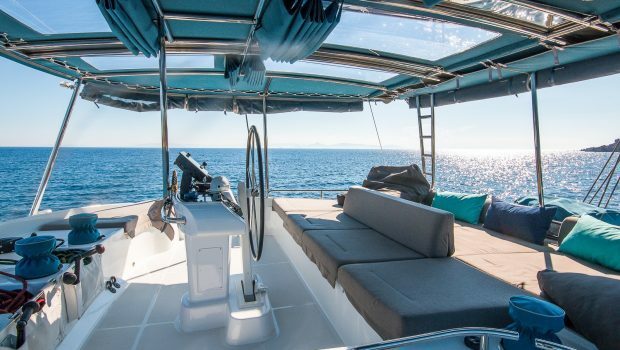 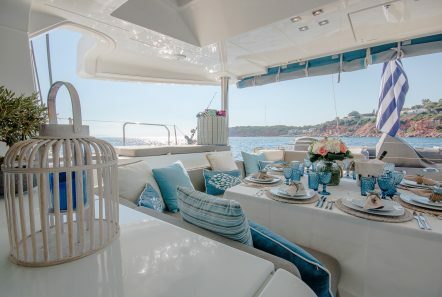 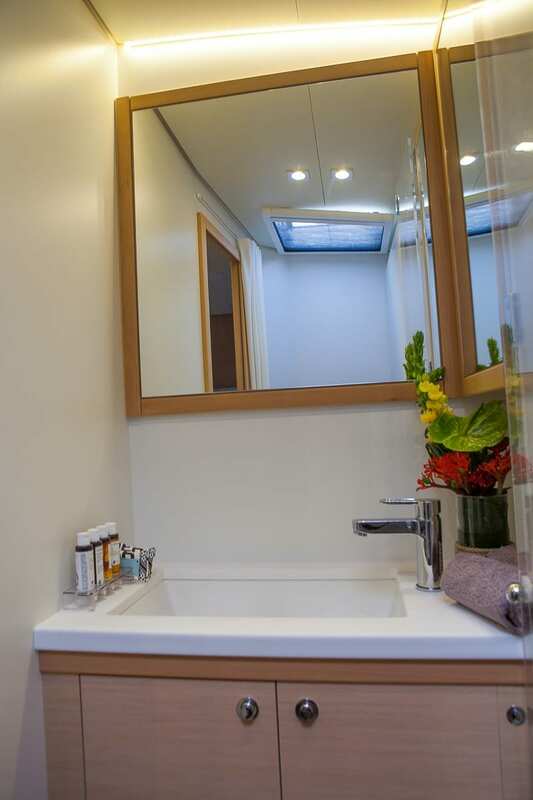 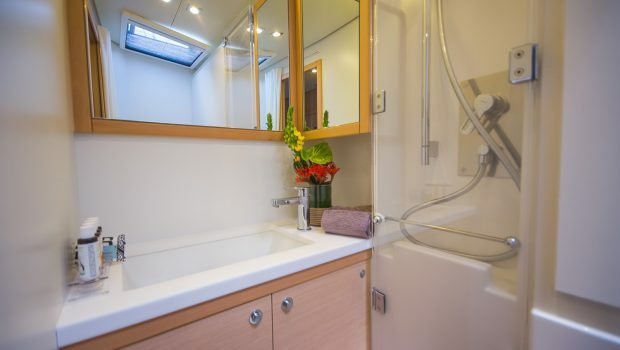 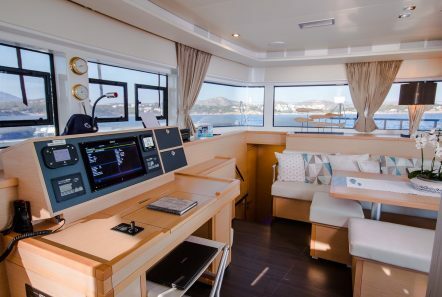 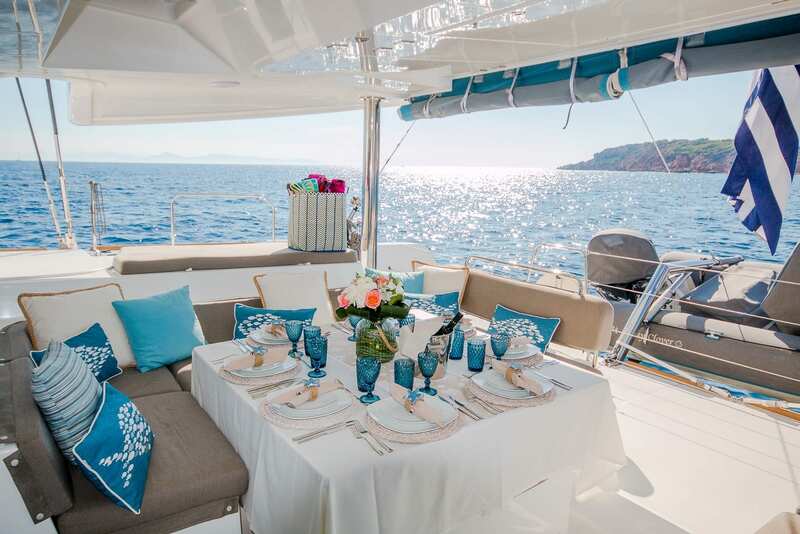 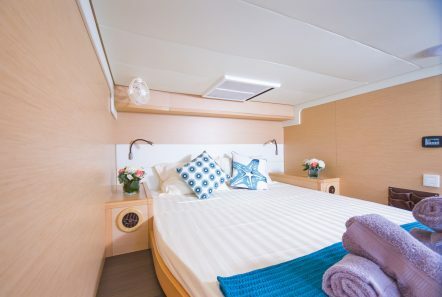 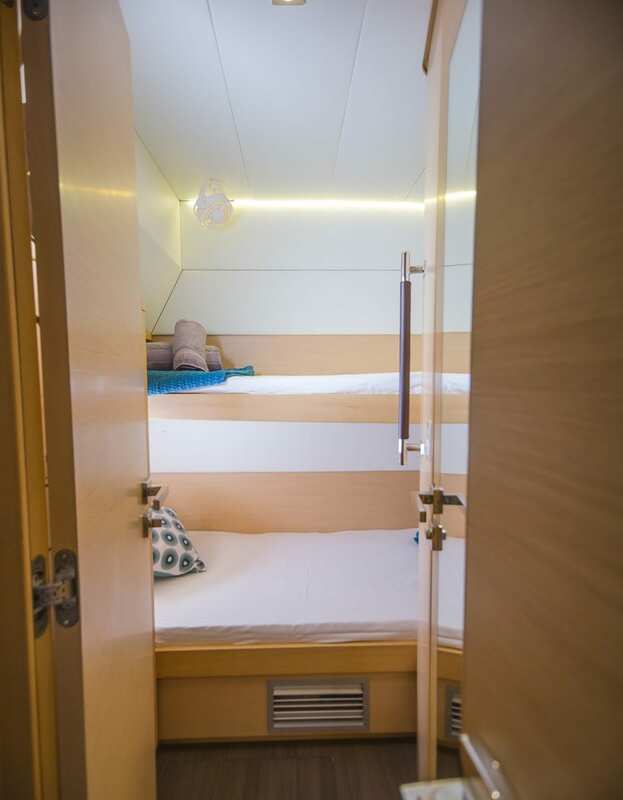 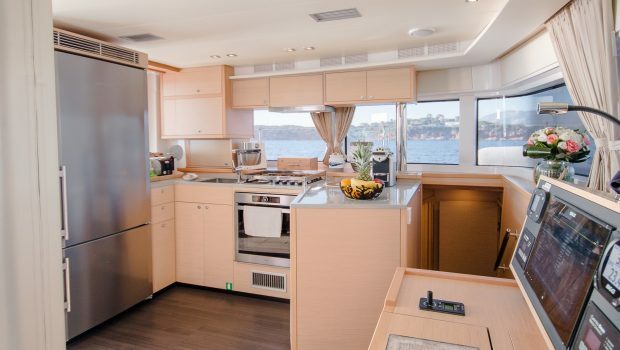 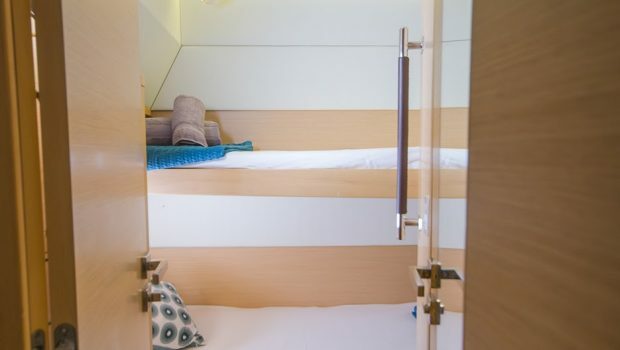 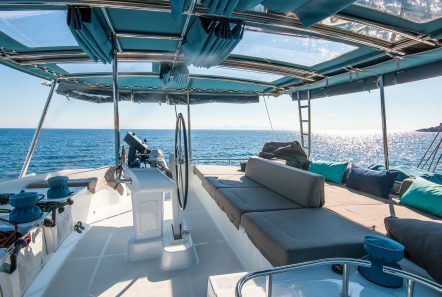 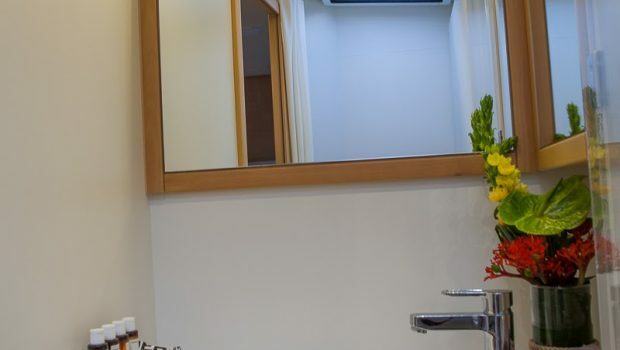 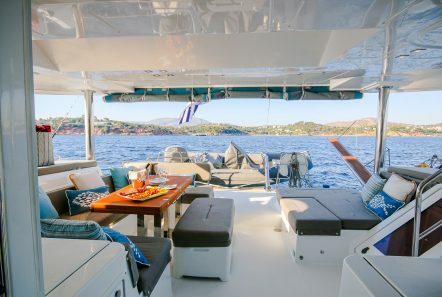 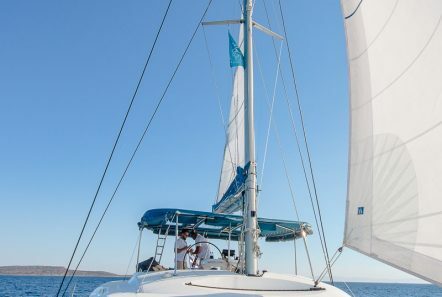 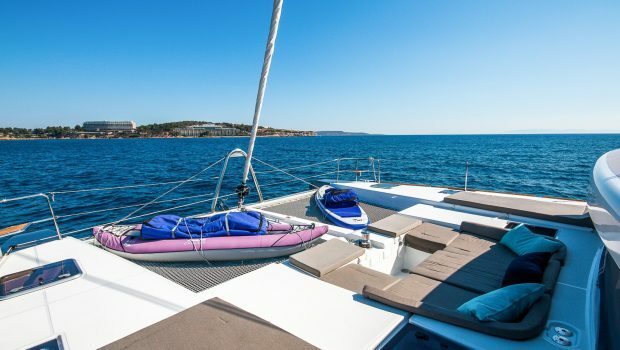 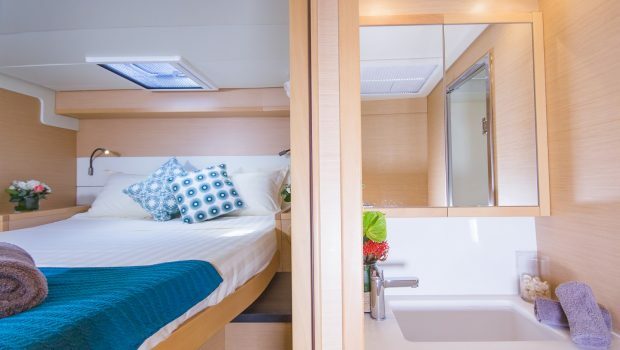 Her interior makes a homey feeling while maintaining the airiness known for catamarans.